On the subject of social media spam – Twitter has warned people against the worm currently making its way through the social network. The “Tweet Viewer” virus poses as a tool to tell you who has been looking at your profile, but if you click on the link it will grant itself access to your account. But it doesn’t work – and the virus will then tweet a link to itself to all your followers. 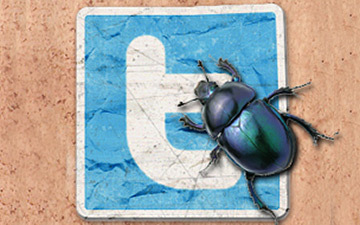 Twitter warns users not to click on any link containing the word “tweetviewer”, and asks that those who have already done so to disable the worm’s access to their account. While URL shortening service bit.ly has cancelled the worm’s privileges on its site, each user who has clicked the link needs to cancel the access or the creature will live on. Do this by go into your settings and look under the “connection” tab, then locate the application and revoke access to your account. Yesterday the worm was spreading by 159 tweets per minute, according to TechCrunch. The worm doesn’t seem to actually harm anyone’s computer, but spreads just because it can.